In addition to opening up the cathedral-like space two stories beneath the memorial, work could include expanding doorways, adding an elevator, adding new restrooms and relocating and expanding the gift shop. WASHINGTON — Plans are in the works to open up to visitors the cathedral-like space two stories beneath the Lincoln Memorial. The National Park Service is launching environmental studies and looking at design plans to expand what visitors see at one of the nation’s most beloved memorials. 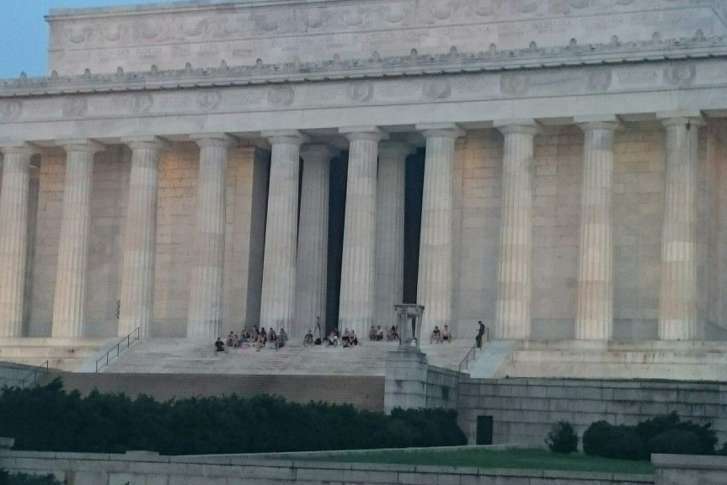 The space beneath the Lincoln Memorial has been closed to most visitors since the early 1990s. The Park Service is considering four different plans that would allow dramatic views of the memorial’s undercroft — the large concrete foundation space beneath the statue chamber. The most robust of the proposed plans calls for an expanded underground viewing area featuring a glass wall that exposes the undercroft. Work could include expanding doorways, adding an elevator, adding new restrooms and relocating and expanding the gift shop from the chamber to the new viewing level. An $18.5 million donation from philanthropist David Rubinstein will be a major resource for rehabilitating the memorial, according to the Park Service. Plans are already on track to replace the roof of the memorial, which was dedicated in 1922, according to Park Service Ranger Sean Keneally. The proposal to provide visitor views of the undercroft faces environmental and historical review. The Park Service has retained Washington-based architects Quinn Evans for the work.